Earlier this month, during my ABC (Association of Bridal Consultants) meeting, we were at a beautiful venue watching the sun set and having a wine tasting party. Our meeting was at the Views at Superstition. The food was amazing, company outstanding, the views of the Superstition Mountains at sunset were spectacular (well worth the drive). We learned about wines, what they should be paired with, how to store and more importantly how to taste wine. I have never done this before, but while I was sitting there learning about the wines, I was also learning and chatting with fellow professionals. We opened up on a different level than when we have our typical networking meeting. It was fun and relaxed. I thought this would be fun to do with friends, bridal parties, rehearsal dinners, reunions, etc. 3. Tilt and watch the wine flow down the glass – does it run right back down or does it stick to the sides and then flow down. 4. Put your nose in the glass and smell it. 5. Take a sip, swish it around your mouth so that it goes to the back of the tongue. 6. Just as you are taking the next sip inhale some air and then take a sip. We tried 7 different wines. 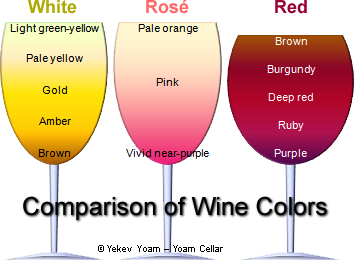 I have always joked that I have a very young wine palatte and knew that I wasn’t going to like the reds. We tried 3 white wines; Duca Di Montebello from Italy, White Mountain Sauvignon Blank from New Zealand and Mawida Chardonnay from Chile. I liked the one from Chile the best. It had a juicy, tropical flavor. The one from New Zealand I liked the least and had a bell pepper, gooseberry, grass flavoring. Who wants to drink grass? We also tried 3 reds; Cuvee St. Vincent from France, Sangiovese from Italy and Blue Creek Heritage Blend from the US. I tolerated the Cuvee from France but didn’t really like it. It had a black cheery, chocolate flavor. The Sangiovese had a berry, tobacco and earth flavor. Yuck! who wants to eat or drink tobacco or dirt. The Blue Creek Heritage Blend had a mint, blackberry, fruit spice and wood taste. Listening to the flavors it started to have potential until the wood was mentioned. It tasted very bitter. I couldn’t even control my facial expression. I would prefer to sit by a fire and drink wine, not drink the wood in my wine. The dessert wine we tasted was Terre Antiche Moscato from Italy. It was yummy with a melon flavor, however it was incredibly sweet, has a low alcohol content and you definitely would only want to have 1 small glass of it. 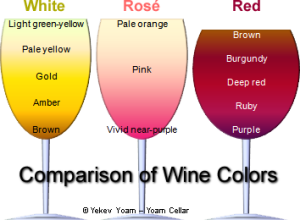 If you are new to wine drinking or want to get to know a group of people on a different and fun level, schedule a wine tasting party. Be careful and do your research about who is doing the wine tasting. You want to have someone leading you that is knowledgeable, personable, fun and is willing to allow you to have fun and talk with your friends.